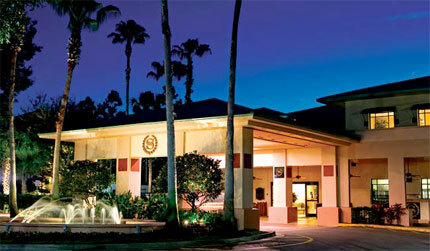 Sheraton Vistana Resort in Orlando, Florida near Disney - Buy a 7 Night Stay in a 2 Bedroom Suite! Taxes and Service Charges Included! 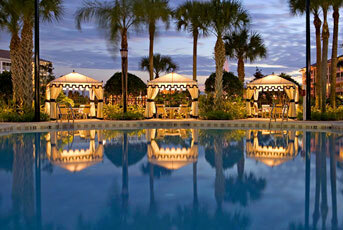 Enjoy 7 Wonderful Nights at the Sheraton's Vistana Resort in Orlando, Florida! In the midst of Orlando's theme parks, you never have to leave the resort for fun or relaxation. The property features nine tennis courts, a three-story Rip Slide, seven swimming pools, eight hot tubs, an 18-hole miniature golf course, daily activities, playgrounds, and jogging trails. Dining venues include Zimmie's Casual Eatery & Sports Bar, Cascades Bar & Grill, KFC, A&W, and Pizza Hut Express (seasonal). The Market Place grocery serves Starbucks coffee and boasts a New York style deli. Only one mile from Walt Disney World(R), Sheraton's Vistana Resort offers tanning beds and massage facility, basketball and volleyball courts, children's playground, and activities provided by a full-time staff all on 135 acres laced with fountains and lakes. Tickets for area attractions may be purchased on site. Your 2 Bedroom Suite with a full kitchen will accommodate up to 8 people. Following Check-in Dates are Available for a 7 night Stay in a 2 Bedroom! There is some construction on site as the resort is updating select phases. Please contact the resort directly to see how this might affect your stay.